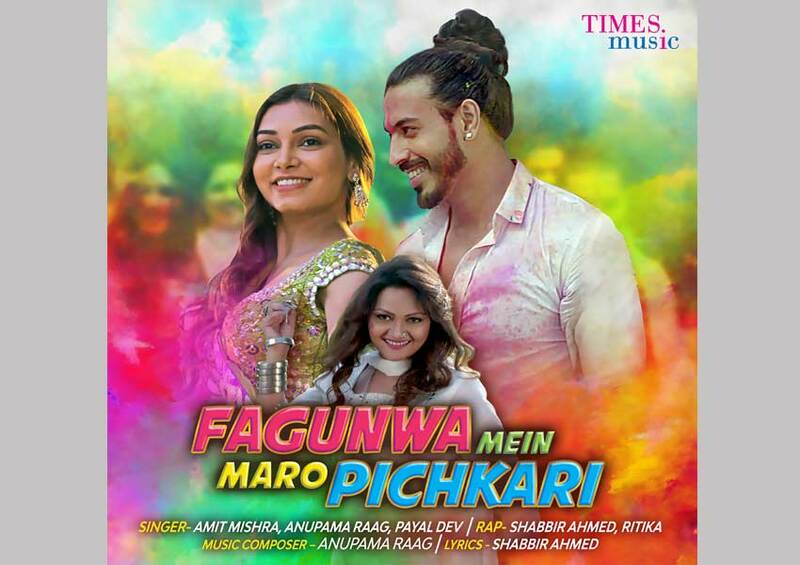 Bollywood has a number of songs to offer, but released under Times Music record Label – Fagunwa Mein Maro Pichkari is a fun and full of life song that will stay with you for a long, long time. Anupama Raag, the woman with a name so lyrical and many feathers in her cap as a Bollywood music director, is the composer of the song. She is also the lyricist of this track with Shabbir Ahmed. Mr. Ahmed also happens to be the composer and lyricist of RAW’s hit patriotic track, ‘Vande Mataram’. Anupama along with incredibly talented singers like, Amit Mishra and Payal Dev have voiced this vibrant Holi number. Payal Dev and Amit Mishra are music industry’s brilliant finds and their projects stand a testimony to their unparalleled skill. The catchy rap in the song is in the voices of Ritika and Shabbir Ahmed. The video of the song features a young couple, celebrating Holi with a group of friends and dancing their hearts out. The colours, the closeness of the couple, the secret glances of adoration – creates a little bit of nostalgia, as confessing love during Holi is so quintessential to Holi music videos! Celebrate this Holi with this peppy dance number that is sure to set your feet moving and your Holi spirits to a new high.